I read this article and found it very interesting, thought it might be something for you. The article is called As India Prepares For Bullet Train, 9 Derailments In 27 Days Reveal Safety Crisis and is located at https://archive.indiaspend.com/cover-story/as-india-prepares-for-bullet-train-9-derailments-in-27-days-reveal-safety-crisis-22180. On the day Prime Minister Narendra Modi and Japanese Prime Minister Shinzo Abe laid the foundation stone for a Rs-1,10,000-crore ($17 billion) bullet train, the Jammu Tawi-New Delhi Rajdhani Express jumped the tracks at New Delhi station, the ninth derailment in 27 days, a consequence of growing traffic, falling safety standards and underinvestment. 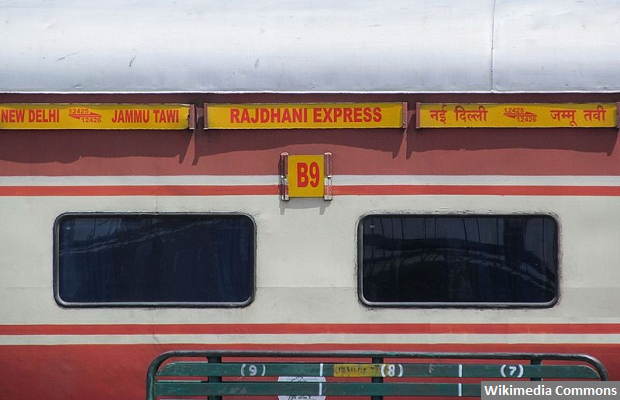 Last coach (guard coach) of Jammu Rajdhani derailed on arrival at New Delhi Railway Station at 6 am; no injuries or casualties reported. The largest passenger system in the world with 23 million passengers every day, the Indian Railways was hit by 78 derailments in 2016-17 with 193 people dead, the most in 10 years, IndiaSpend reported on August 22, 2017. Although accidents in general have fallen over 10 years, from 194 in 2007-08 to 104 in 2016-17, derailments have risen over this period, an indication that trains are increasingly at peril. The first six months of 2017 reported 29 train accidents, of which 20 were due to derailments, killing 39 people and injuring 54, according to this reply to the Lok Sabha, parliament’s lower house, on July 19, 2017. Over the last decade to 2016-17, 1,394 train accidents were reported in India; 51% or 708 were due to derailments in which 458 people were killed. Accidents of consequence in the current financial year ending August 2, 2017, have decreased by 51.2%, from 43 in 2016-17 to 21 in 2017-18, according to this reply (starred question 216) to the Rajya Sabha, parliament’s upper house on August 4, 2017. “Accidents per million train kilometres, an internationally accepted yardstick of safety, has declined from 0.23 in 2006-07 to 0.11 in 2014-15, 0.10 (approximately) in 2015-16 and further declined to 0.09 (approximately) in 2016-17,” former minister of railways Suresh Prabhu told the Rajya Sabha in his reply. Derailment was the second-leading reason for train accidents and casualties between 2003-04 and 2015-16, according to the Twelfth Report of the Standing Committee on Railways on ‘Safety and Security in Railways’ presented in the Lok Sabha on December 14, 2016. The leading reasons for accidents was human error. One of the cause for derailments is the lag in addressing what are technically called “defects in the track or rolling stock”. Of 114,907 km railway tracks, 4,500 km, or 4%, should be renewed annually, the committee said. However, of 5,000 km track length due for renewal currently, no more than 2700 km, or 54%, would be renewed, it said. Track failures and subsequent derailments are caused by twin factors–excessive traffic and underinvestment in rail infrastructure, IndiaSpend reported on April 3, 2017. Up to 40% of Indian Railways’ 1,219 sections are utilised beyond capacity. Here’s all you need to know about the Mumbai-Ahemdabad bullet train.